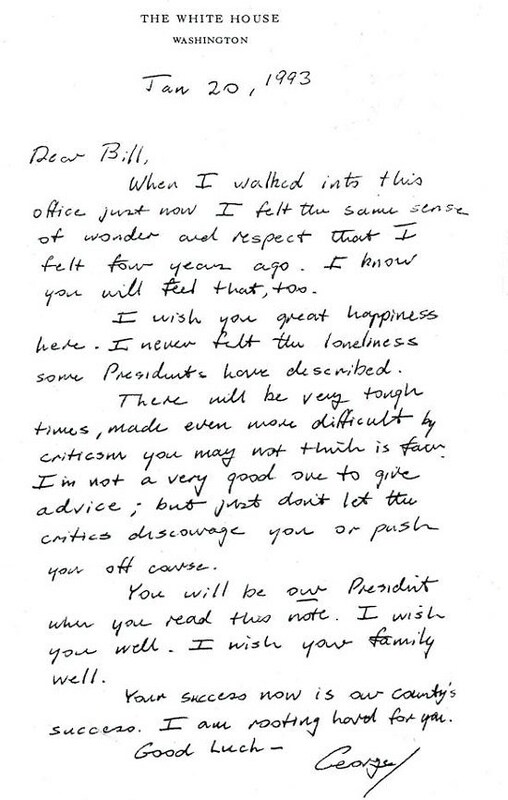 “Your success now is our country’s success.” These simple, yet profound words written by George H.W. Bush are going viral. Bush, who died this weekend at age 94, had an uncanny ability to remain close friends even with his staunchest political enemies. This provides a good lesson for today’s unhinged Democrats, whose pathological hatred of President Trump and all his supporters has led them to support violence and censorship of people whose political views they disagree with. Former president Bill Clinton has repeatedly praised HW Bush for his integrity and kindness, pointing out that their friendship was never marred by their vast political differences. Clinton said George HW Bush was a good man and a proud patriot. “I just loved him,” Clinton gushed. “No words of mine or others can better reveal the heart of who he was than those he wrote himself. He was an honorable, gracious and decent man who believed in the United States, our Constitution, our institutions and our shared future. And he believed in his duty to defend and strengthen them, in victory and defeat.